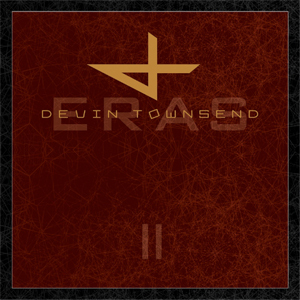 Devin Townsend has announced the release of the second part of the ERAS Vinyl Collection for release on August 31st, 2018. This set includes the much sought-after albums Ocean Machine, Physicist, Terria, Synchestra & Infinity all in gatefold sleeves across 8 pieces of vinyl, contained inside a sturdy 2-piece box with an extensive LP booklet containing liner notes and comments from Devin himself. All the albums have been mastered for vinyl for the optimal listening experience. You can pre-order the collection now HERE. Devin comments: “It has been over 25 years since I started this professional trip of mine with music as the anchor. In that time, I have spent a fair amount of energy describing the albums, rationalizing the albums, or just trying to basically explain the motivation behind them all. This ERAS box set series is a kind of monumental way for me to do it at one time, in one place. The intent of these albums from the beginning, has not changed. Music has been the outlet to describe my experience with life, and obviously my experience is far from 'unique'. I like to think all this music describes my point of view on things we all participate in. Life is crazy, and each step of the way offers new things, births, deaths, failures, successes, heartache, confusion, anger etc etc etc... I don't have it figured out, but the music has helped me deal with it in my own way. The albums were just snapshots of different periods in my life, and although it’s just music, they mean a lot to me. The process that drew them out has helped me move on to each consecutive project and my hope is that with these boxsets, it makes what I do in the future make a little more sense. I really appreciate having the opportunity to present them in one place with such attention to detail. It’s such an honour to be able to do this and I thank everyone involved for the support and passion in making these box sets happen.